Artillery Tools has picked up several new Paul Davis franchises lately. A few of the franchises have been talking about Artillery Tools on the Paul Davis internet forum. The franchises that are using our tools know how well they are working. Just ask them. We have been helping Paul Davis franchises at our general restoration shows since 2011. We cant go to Paul Davis Conventions, but look for us at other trade shows. These shows and the Paul Davis internet forum have enabled us to work with over twenty-one Paul Davis franchises. Helping them solve their demolition needs. 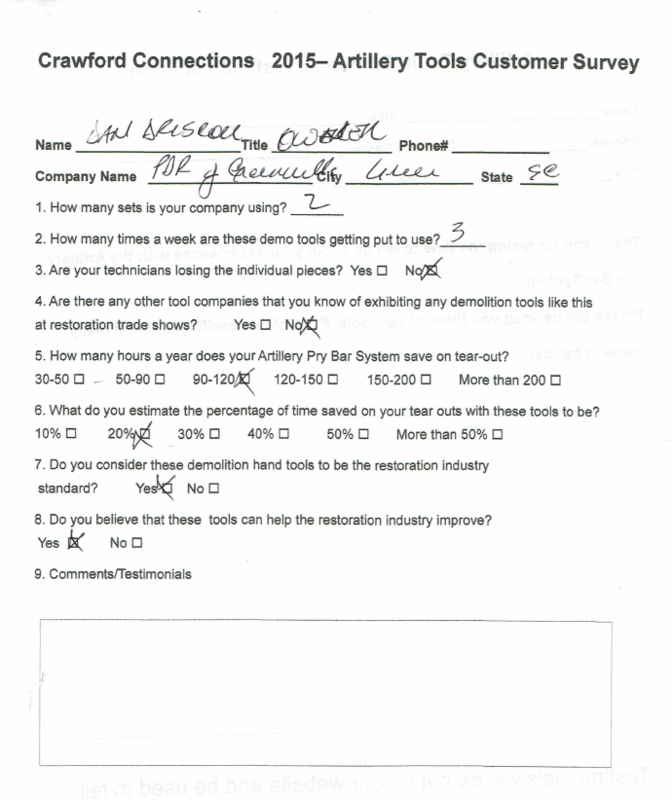 Our goal is to help every restoration company that is looking for a better way to do their tear outs. By providing them a wider choice of better functioning tools then the old conventional pry bars offer.